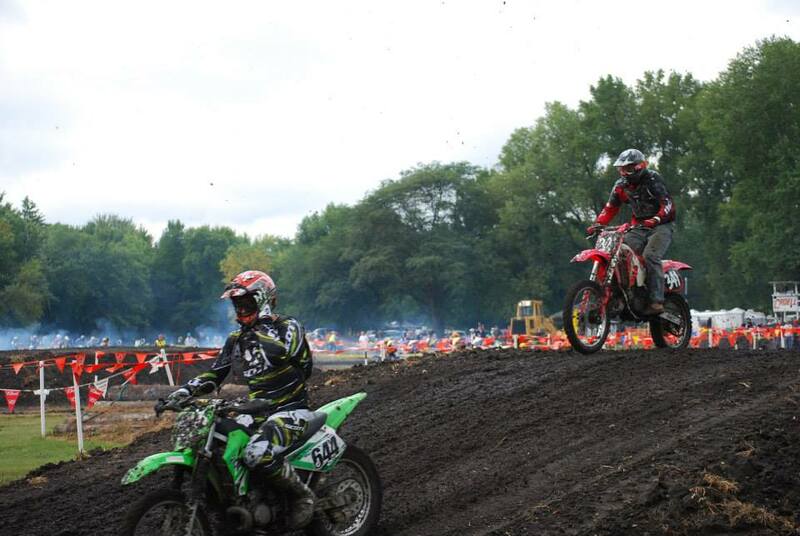 Cars, dirtbikes, motorcycles, trucks, they are made for having fun! If you aren’t having fun you’re probably doing something wrong. Sometimes the quartermile section can have something that is not mentioned in the full article. Sometimes the message strays from the title? Why do I spend time working on cars? The reason is two fold. First I enjoy the satisfaction of taking something apart that is not working and restoring it to working order. Second, and really the part I enjoy more, is the fun of showing and driving my car. I prefer to have my car together and utilizing it than having it sit in the garage. Cars are art but part of their art is their performance. What good is a 800hp (insert super car model here) if it sits in your garage? I’d rather have a 1999 Honda Civic with a loud cannon, a huge wing and a short shifter and a cold air intake that I drive everyday. The above brings me to the thesis of this post,The Illusion of Speed. Have you ever driven a geo metro, with a fallen off exhaust down a dirt road in 2nd gear at 30 mph? You feel like you are going 100 mph! Have you ever drag raced a 2007 Mustang GT a quarter mile in 14.22 seconds at 100 mph? That felt more like going 55mph down the road. Launching is probably the most fun part of drag racing. A 1987 Monte Carlo SS going 15.12 at 89 mph felt even slower…. My point here, besides I need a faster car, is that speed is relative. You don’t have to go 150 miles an hour to have a good time. Motorcycles are a great toy to have for fun. They generally have great power to weight ratios which makes them speedy. The lightness makes them nimble, which is also fun. Although I can tell you from experience that swerving around inside your own lane is apparenlty “suspicious” enough for Johnny Law to pull you over and give you a ticket for a “hard to see” license plate. Motorcycles are also cheap. A 1970’s or 80’s Japanese motorcycle can be bought for anywhere between $500 and $1000. 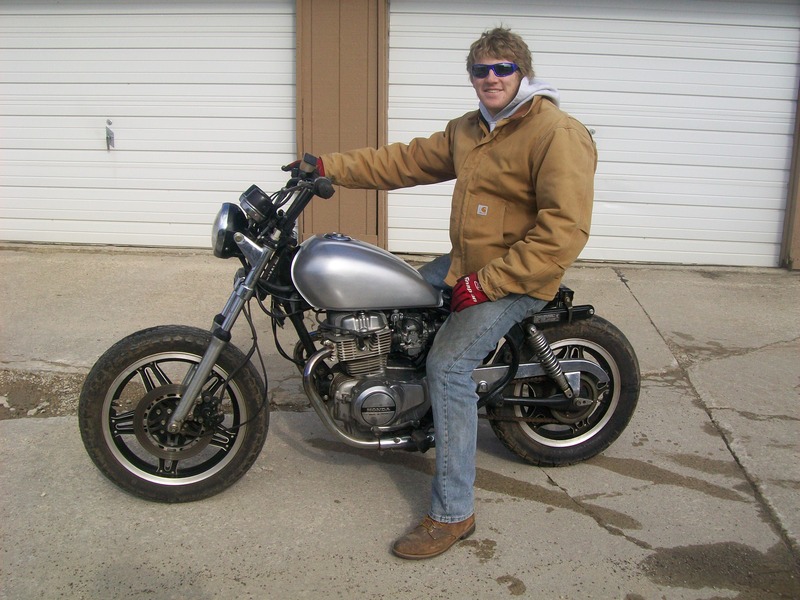 I personally have a 1981 Honda CM400C that I have turned into a bobber (with a little help from my brother). Stripped down, solo seat, no rear fender (yet, it’s in process). This is my around town bike. It is loud, I beat on the thing and I’m not worried if it blows up because I have so little money in it. If the engine blows up a replacement is CHEAP! And if you don’t want to replace an engine you could always Frankenstein a 600cc new rocket engine into it. I think that’d be an awesome project also. Did I mention how cheap old motorcycles are? Another way to have fun is on a dirtbike. I have been dirtbiking since I my father bought my brother and I a Honda XR80 for Christmas around 2003. I upgraded to a (1993) CR125 around 2006, you don’t need the newest toys to have fun! That’s a 2 stroke for those unfamiliar with dirtbikes. This is the bike I still have today. The most fun I have had on a dirtbike (and perhaps one of the most fun things I’ve ever done) was the hare scramble I participated in last year. Follow the link below and change to New Hartford, IA – September 15, 2013 race. The appeal of the hare scramble is you get to ride for 1:30-2 hours. The time is great, compared to drag racing/autocross where you get to drive a total of between 11 seconds and 10 minutes in a whole day. You are riding changing terrain with a bunch of other riders. Also there is minimal damage done to your bike or your body (if you aren’t some of my friends, you know who you are 🙂 Overall if you want to have fun, I recommend a dirtbike. Onto street cars. How do you have fun there? Like I mentioned earlier, I can find pleasure in simple things. A 1995 Honda Civic stock with 100 Hp, give it a tune, an exhaust, and air intake and cool rims and sticker it up and drive it like you stole it. The great thing is it’s probably pushing 140 hp as this point so you will likely not be able to speed even. But really, Honda Civics can be fun. Remember, no haters welcome here. I will be attending this year, trip goes from Charlotte, North Carolina to Wisconsin Dells, Wisconsin. I will definitely chronicle that in a later post. 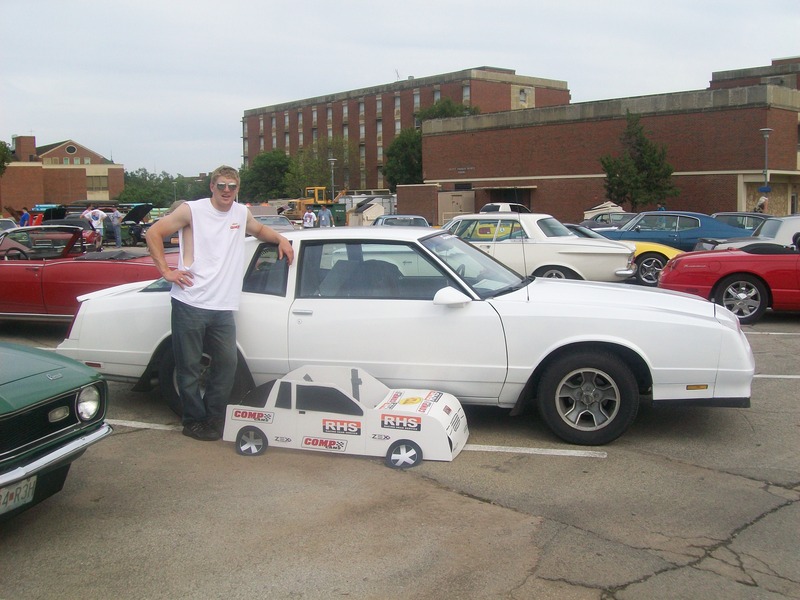 Other great ways to have fun on a smaller scale are local car shows. Check out the events section of my site to find events local to the Cedar Valley. One final way to have fun with your street car is to race it! On the track! Drag racing and Autocross are 2 great ways that let you put the pedal to the floor without losing your license. You just might find that you aren’t as “bad” of a dude as you thought. There will be many great drivers and fast cars at both of these events. The great part of these events is learning from others who have been in your place. 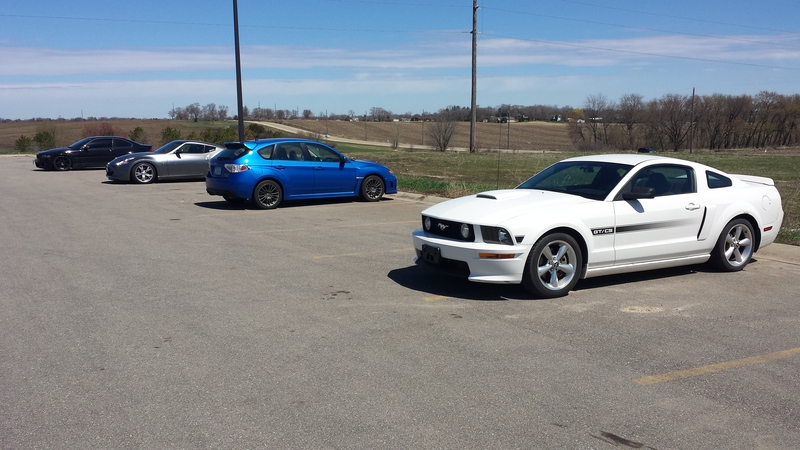 Everyone had a first trip to the race track. If you go alone you will be sure to find someone who will talk to you. Don’t worry if your car is slow or not a race car even! I have seen 1998 Buick Centuries at the drag strip and 1984 Mercedes station wagons at autocross events! It’s all for fun! What’s your favorite way to have fun with an engine and some wheels? So I hope you are now overly anxious to get out and start participating! Keep the wheel side down and enjoy the ride.